Fields and buildings are quite different things in Simutrans, for whatever reason. Fields do not interact with stops. If such a complex was made in Simutrans using fields for growth, the poor player would have a hard time figuring out which building is the building and which are just fluffy "fields". I'm sorry for reliving an old theme. I was looking at the facebook page and I noticed that this publication had a great reach (2175 people), so I think a lot of people liked the idea. I hope that one day we can see more constructions in the water, greetings!. 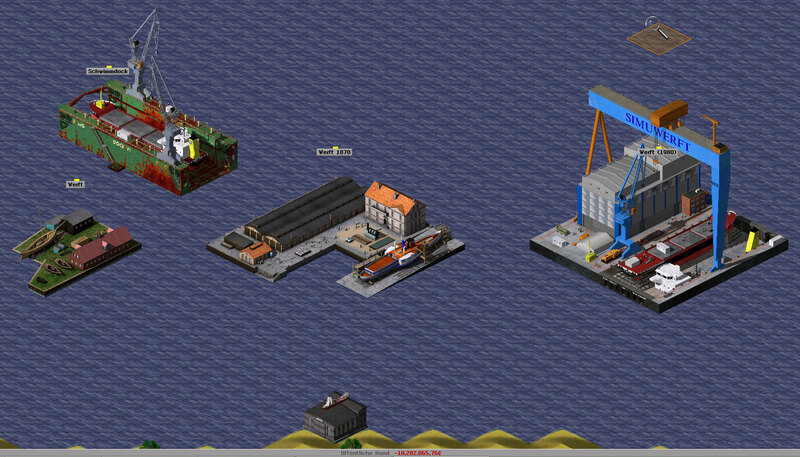 We have some buildings in water in pak128.german, but only factories(3yards, swimdock, oilrig, fishing area). Buildings with no function, and I´m not shure, maybe on one field(? ), could be realized also as ground/ moving objects, I think. It has a speed-option, but never tested, if it works with speed=0. I have no Facebook-Account, but I also vote for swimming curiosities, maybe swimming citybuildings . /Sry, now seen the first page, idea with ground objects already exist. To my knowledge, nothing stationary besides factories can exist in water. This includes all kinds of buildings (curiosities, citybuildings, monuments, headquarters, townhalls), non-moving ground objects and fields. Honorable mention to elevated ways, which can be placed on shallow ocean, but not on deep ocean and not in lakes. But I think there is more that could be done instead of just allowing other buildings in water. It probably won't, but hey, let's put the idea out there for an "update aquatic"
Step 1: Make water a "location"
Currently, water is many things, among which it is a "climate". Lake-water and sea-water are indestinguishable, except for the edges (sloped vs. flat). I think it would make more sense if lakes would be part of the same climate as the land around them. Flooding a tile would not change it's climate information, just it's "location" information. In the case of the current map generation, lakes would adapt the climate of their surface height level. Since they are different climates, they can have different graphics. This allows for crystal blue mountain lakes and murky green tropical lakes - all of which could have much less waves then the actual seawater, as they are still. While we are at it: Lakes need a size restriction. Mostly because otherwise, you can have huge bodies of water on a map that was not visible in the preview and unplanned in custom maps. So what about the "water" climate? I think that should become an "ocean" climate - different word to avoid confusion. The ocean climate would work exactly like all the other climates, except that it's completely covered by water upon generation. Ocean would have it's own land texture as well, on one hand for shorelines which currently use desert texture, on the other hand in case someone raises the ocean floor (Raising and lowering land shouldn't change climate, at least as a setting) or drains part of it. Let's talk compatibility for a second: I would not mind if "climate=water" would still work and be interpreted by the game as "climate=ocean". The difference for those objects would be that they won't spawn in lakes (since lakes are not ocean), and objects with the location "land" may spawn in a dried up ocean. To maintain a more accurate behaviour, instead "climate=water" could be interpreted as "climate=ocean", while "climate=water; location=land" could be interpreted as "location=shore". If there is no texture defined for land in the ocean climate, it would use the desert texture instead. Even in paks where it isn't sand like in the german one, it's a coast-texture, which makes just as much sense. Another thing: Since water would be a location within a climate, it could be affected by seasons. Water itself might not change, just like the ground on land does not change (regretably), but there is no reason there can't be ice on an oil rig. It was already talked about many times: Ships should be divided into riverboats and large ocean vessels, without being as complicated as in Extended. I think the waytype can be used for that distinction. Similar to "tram_track", I suppose the waytypes "fresh_water" and "deep_water" in addition to simply "water". Rivers and canals may have any of the three waytypes as defined in the dat. For tiles with "location=water", there would be an additional setting for which depht levels count as freshwater, water and deep_water, similar to the climate settings. For lakes (=water other than in the ocean climate), these depth settings can be disabled, such that it's always freshwater. Keep in mind here: While it would be set up like the climates, those would not be climates. The information which tiles has which climate is saved, and can be changed with a climate tool. Whether ocean water counts as freshwater, water or deepwater is not saved and solely depends on the distance between water surface. Hence changing the depth of ocean water would also change the water subtype. Vehicles with the waytype "fresh_water" can only navigate ways of the waytype "water" or "fresh_water". Vehicles of the waytype "deep_water" can only navigate ways of the waytype "deep_water" or "water". Vehicles of the waytype "water" can navigate all three waytypes. This would be backward compatible, while also allowing to confine some boats to rivers/canals and others to the open sea. While river-bound ships could be balanced somewhat like cars (partly available ways, not direct), ocean-ships would be balanced more like planes (no waycost, mostly direct route). It also allows for a freshwater-depot (can only be buildt on canals/rivers) and a deep_water-depot (only on water tiles), just like it works with the tram depot. The problem of "what's underneath" has a relatively simple solution. Add a tag "is_island". If active in an object for the water, it would not be buildt in what's defined as "deep_water". Additionally, upon placement, the floor underneath is raised to reach the surface while remaining a water tile. Hence those islands would only appear in shallow water, and there would be ground underneath them, but they would not require an actual island. Since it is not possible to build stop in water (and also not very realistically), I do not think this will get much approval. But you can make a factory with not production (like the wind mills) and those can be placed in water as well. I mean... we are talking about enabling buildings in water, and stops are buildings. Furthermore, the same arguement could have been made for factories, so the same solution could be applied if needed. Sure. But those would not spawn. If the player has to place them anyway, I'd rather make a curiosity and place it on a single land tile. I do not think this will get much approval. When Mark Ferrari started out making graphics for LucasArts, he was told he couldn't use dithering, since it wouldn't compress. He created a beautiful twilight scene with dithering. Two month later, dithering could be compressed, and graphics changed from Zac McKraken to Loom. I share the same opinion of leartin, the objects must be placed automatically. And with respect to the model, I would like to see that. I think this could be a "cur" building if "res" is not possible. There are many other examples. 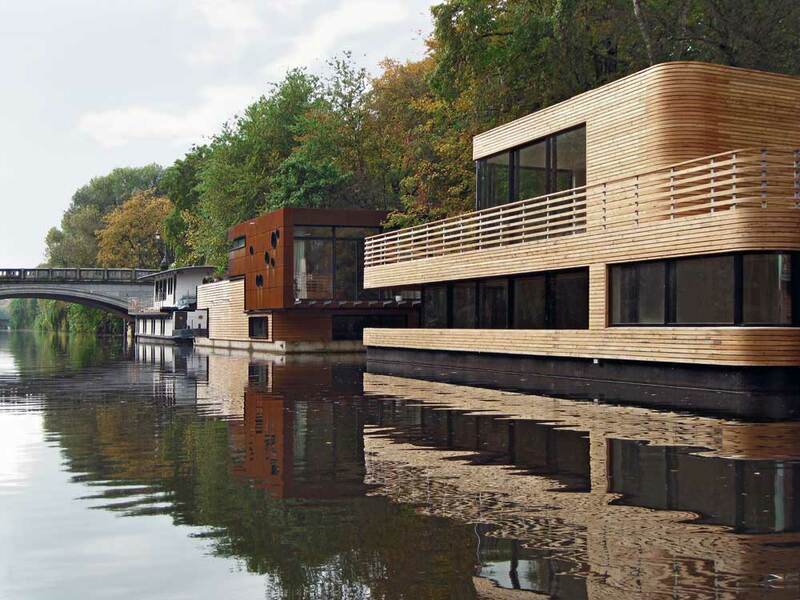 Search "floating house". We have a lot of them here in Brazil in the Amazon basin, they are mostly stationary... except if it's a fishing house convoy. Both of those buildings are strictly speaking on land. Strictly speaking, the building is on a rock, and that rock - while it could be called "land" itself - is not on land. Unless you count land that is covered by water, in which case an oil rig is just as much on land, somewhere deep down. Changing the words does not change the wishes. We might as well talk about buildings on land surrounded by water, or buildings on land under shallow water, but it does not change what we wish for. Not all of them. Some actually float. Those are very important differences in terms of how things work in Simutrans. It is therefore important to use the words that accurately describe the wish. First of all, whether it is buildings on land surrounded by water or buildings on shallow water, that makes it different from the off-shore industries Simutrans already have, as they can be built on water of any depth. It makes them more similar to elevated roads. You may build underground buildings directly beneath them, unlike buildings residing on water of any depth. Secondly, a building on land surrounded on all sides by water means that there is a ground tile underneath it. If it is demolished, you end up with a tile of bare land. A building built on shallow water means that only water is left behind if you demolish it. 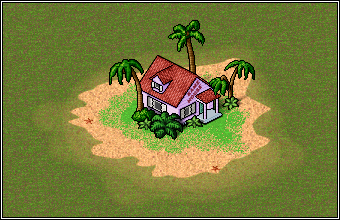 Thirdly, if the buildings must have ground underneath them, then it is important to make it clear whether such buildings should spawn only on existing islands, or whether the game must go through the trouble of creating islands specifically for such buildings when it wants to spawn them. People want buildings (and other objects) placable on a water surface. I currently use the original island as a factory. Therefore, the same thoughts apply. Should it only be placed in shallow water? Should the ground underneath change upon placement? If it does matter for factories, than the game is already in need for a change in that regards. Allowing other buildings in water wouldn't change the existing need. If it does not matter for factories, then neither does it matter for any other kind of building, so they would not require a change in that regard to be made. That's not to say there can't be extra settings for that. But they are just not as vital as you make them seem. It seems that he did not get a button to delete a message, that always happens to me hehehehehe. On the other hand, I believe that the objects in the water would be a good Christmas gift for the simutrans community. Dude, it's December 17th, it's too close to Christmas... Unless Santa delivers it. True, but it should not necessarily be ready at Christmas, we can wait several more months, until Santa finishes it. Do you think of some real thing that exists in the middle of deep ocean? I think that only the "fish swarm" can. Oil rigs need connection to the bottom, although as the technology improves it can be deeper and deeper. 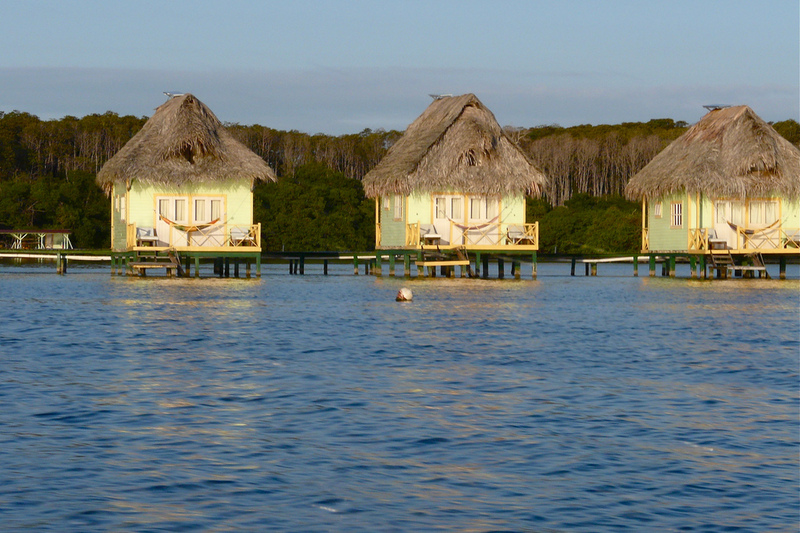 But everything else I can think of has to be on real land even if a very small piece, surrounded by shallow water. So an adjustment of landscape generator, to produce an occasional volcanic island would be the right thing. It is never that simple in my experience. Developers who think so get heat from the users for not delivering what the user wanted, only what the user said/wrote that he wanted. So asking follow-up questions to get all the details straight is instinctive to me. Even if I'm not the developer on the case, just to help other developers out. I'll leave this here and I'll go slowly. It is never that simple in my experience. Developers who think so get heat from the users for not delivering what the user wanted, only what the user said/wrote that he wanted. In paid development, certainly. In Simutrans, it's baby steps, and not each step needs to be done by the same developer. The first step would be to put buildings in water. In a second step, one could implement further restrictions. Again, those are not vital - I wouldn't mind a lighthouse in the middle of the ocean any more than I mind an oil rig in an alpine lake, both are equally stupid. So asking follow-up questions to get all the details straight is instinctive to me. Huh? Maybe indicate them with a question mark? I see no questions. At best, I see statements about what you'd want as a user. At worst, I see a personal opinion presented as if it was facts. Wouldn't buildings in shallow water or surrounded by water be different from the off-shore industries Simutrans already have, as they can be built on water of any depth? Aren't they more similar to elevated roads? Shouldn't you be able to build underground buildings directly beneath them, unlike buildings residing on water of any depth? Answer: It's uncertain what artists would create, therefore it would be unwise to generally disallow anything from being buildt on water of any depth. While the things on the surface of a very deep ocean are limited, we should remember that the same is true for off-shore industry, and most paksets have but one example: An oil platform. Additional parameters to limit the dephts at which water objects can be placed would be a nice addition, if only to ban oil platforms from shallow water. Even better would be a destinction between lakes and ocean. As for tunnels, I'm not sure you can build them underneath every object that's supposed to be in shallow water. Might be the ground is just mud and sand, too flimsy to hold a tunnel. And drying up the water to dig from above might be a bit silly to place a station under a great barrier reef. Since a building on land surrounded on all sides by water means that there is a ground tile underneath it, while a building built on shallow water means that only water is underneath it, shouldn't deleting such buildings have different results (ground vs. water)? I don't think we can have buildings on land surrounded by water, as they would never spawn. But since such buildings would most likely depict their own piece of land, I'd go with the logic that deleting such buildings deletes the depicted land as well, leaving shallow water behind. This would not be stranger than an island turning into a sandsquare when it's deleted. If buildings must have ground underneath them, shouldn't it be made clear whether such buildings should spawn only on existing islands, or whether the game must go through the trouble of creating islands specifically for such buildings when it wants to spawn them? While I doubt that those buildings would have ground underneath them in game terms, the same logic could apply to creating shallow water out of deeper water. That is, if the object indicates via parameter that it wants to do that, since we shouldn't assume. And if so, there might be need to state how much deeper the water can be. However, another nut to crack is what even is "shallow water", since that depends on the scale the player plays the game at. Essentially, if the player plays a world map, there might not be any shallow water. If the player plays a map of a small country or region, most water on the map would be either lakes or near to a coast, hence shallow. Therefore, it might not be a good idea to define shallow by the depth level alone, but allow the pakset and the player to have their own settings on how many depht levels are shallow, just like they can decide how high up the snowline is. Both to allow for lighthouses and to disallow oil platforms. I almost wrote that iterative development was more common in actual businesses, although more in self-paid companies like Google, Facebook, Twitter or even Netflix. With Simutrans, I'm more used to developers coming with a finished solution and it's either included or it's not, and that is that for years. The scripting is the only exception I can think of, although even that seemed pretty fleshed out when it appeared. It is not like developers are crawling all over this forum looking for something to do. I was hoping that if they knew exactly what was wanted, and what might be accepted, that it might be more attractive and have a greater chance of success. It is very demotivating to hear that what you've spent much time making isn't what the community wanted. This seems to be the bane of several attempts at two-lane roads. However, another nut to crack is what even is "shallow water"
Well, I've used the term for water of depth 0. The major difference is between a depth of 0 and 1. Depths of 1 and greater are conceptually similar, since then there is a volume of water below the surface. Maybe we need a clearer term for water that is just at the surface. This is what you get if you just drag the water climate tool across a piece of land. As for tunnels, I'm not sure you can build them underneath every object that's supposed to be in shallow water. Might be the ground is just mud and sand, too flimsy to hold a tunnel. Currently, the only things that can't be tunneled through is water and air, which is why I thought it might be important as to whether you should be able to tunnel up under these buildings. There is a whole host of other issues that crop up if one starts to wonder how buildings at sea affects things Simutrans does not (yet) have. Fortunately, Simutrans doesn't take vertical distance into account for stops, so you might build a subway station a kilometer below the water under a bungalow on a (floating) sand bar, and it would still serve it just fine. However, some players would likely be confused why they can't build anything directly below it. There should obviously be land there. I've just realized one implication of scale that somehow I didn't think of in all the time I've been playing Simutrans: If a tile is 1km square, it surely is 1kx cubic, as well, meaning except for rivers and hand-drawn water, water is 1km deep near the shore. Now, carry on in discussions, don't mind me. I've just realized one implication of scale that somehow I didn't think of in all the time I've been playing Simutrans: If a tile is 1km square, it surely is 1kx cubic, as well, meaning except for rivers and hand-drawn water, water is 1km deep near the shore. Now, carry on in discussions, don't mind me. Never lack humor in this forum, I like that a lot ... hehehehehe. Not really. In half height paksets like pak128, you need 5 height levels to make a perfect cube on one tile. So the shallowest water is "only" 200 m deep, or even less in simutrans extended. And if you consider that a bridge has to be two levels high to let vehicles underneath, you end up with some 3-4 m per level. The physics in Simutrans Extended with pak128.Britain and default settings has an implied height of 5m per (half-height) level, which seems like a decent number to work with for all non-graphics purposes. Actually, that might even be consistent with the graphics as well. What doesn't happen is someone providing a tool with no function by itself, just so other developers can continue from there, to achieve a premeditated goal. What does happen is that someone provides a new usable function, and someone else at a later time develops it further. Or a more recent example: Shorthand dats were implemented by kierongreen, and it was a great change by itself; and then An_dz added ways and vehicles to the logic. It is not like developers are crawling all over this forum looking for something to do. I was hoping that if they knew exactly what was wanted, and what might be accepted, that it might be more attractive and have a greater chance of success. No, really, pointing at an issue or a lack of something is usually much better than suggesting a solution, especially to get things going. Almost as if people don't like to be told what to do. It is very demotivating to hear that what you've spent much time making isn't what the community wanted. This seems to be the bane of several attempts at two-lane roads. More important than just whether something would be liked is whether something would be used. If there are only one or two water-curiosities in each pakset, I'd consider the feature used, but not used enough to need further expansion. (After all, that's the situation with factories). Perhaps if an artist proclaims that they lack another feature for them to use it extensively. But if there are a lot of them, it would make sense to look at what people actually come up with, and how to improve the spawning algorithm to accomodate it. The key here is to balance work between developers and artists. No developer wants to program something that won't be used, and no artist wants to draw something that can't be used. Well, I've used the term for water of depth 0. The major difference is between a depth of 0 and 1. Depths of 1 and greater are conceptually similar, since then there is a volume of water below the surface. But as you can see from other responses, one level of depth can be anywhere between 200m and 3m, depending on your point of view. If it was closer to 200, maybe the zero-depth shallow water in Simutrans would make sense as being only a few meters deep. If it's closer to 3m, that zero-depth water wouldn't wet your shorts when you stand in it. A rock that would reach the surface from 200m depht is unlikely, but from 3m it's not uncommon. So if you assume a level to be 200m, what you think of as shallow water would be a bunch of depth levels for someone who assumes a level to be 3 meters. What should zero-depth-water even be, it certainly doesn't exist in reality (except as "wet ground")? Currently, the only things that can't be tunneled through is water and air, which is why I thought it might be important as to whether you should be able to tunnel up under these buildings. There is a whole host of other issues that crop up if one starts to wonder how buildings at sea affects things Simutrans does not (yet) have. You are absolutely right. If, for example, Simutrans gets submarines and underwater landscape, 'floating' islands would become a huge problem. But that problem is not dependent on whether the island is a factory or a building, so even if we don't get buildings in waters, it would need to be solved. The same solution can be applied in both situations, so having or not having buildings in water has virtually no impact on that. It's something that should be done, eventually, but if not, it's not the biggest issue the game has, and it's not an outright requirement.